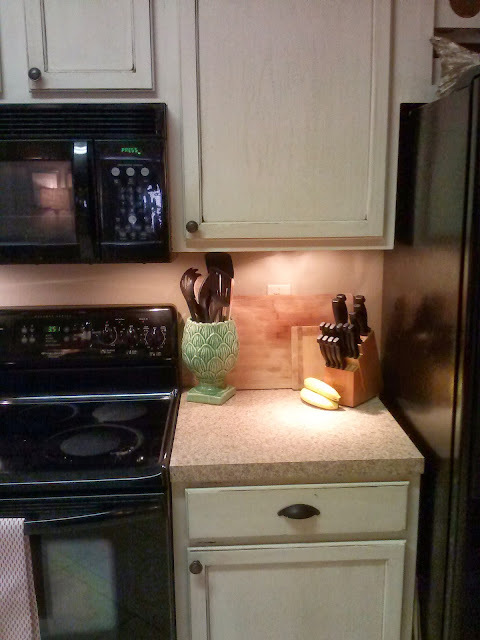 Fall in the Kitchen - Oak House Design Co.
On the heels of this weekend, I got the urge to organize a bit in the kitchen. 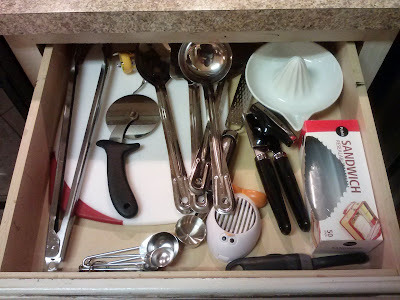 Feeling and being organized helps to put me at ease for planning. So I started some fall cleaning and organizing in the kitchen. 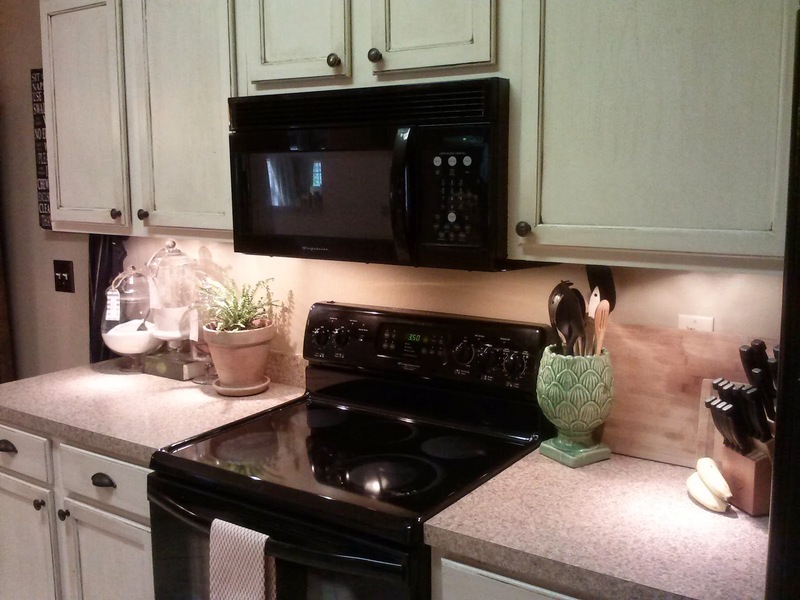 I pulled the stove out and cleaned behind it. 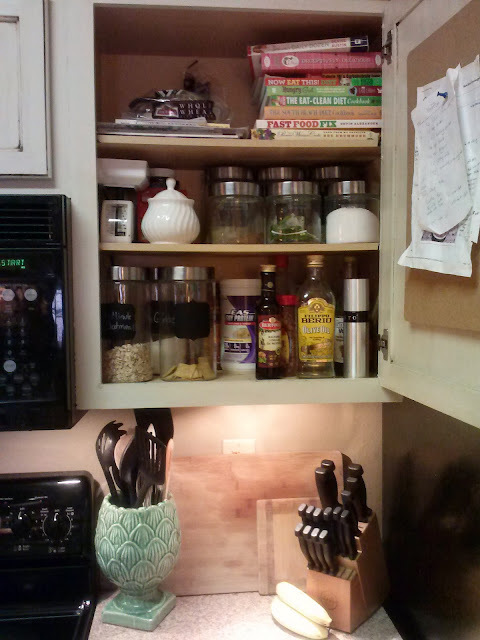 Then I reorganized half of my cabinets and got rid of some cookbooks, magazines, and dishes that I don't really use. 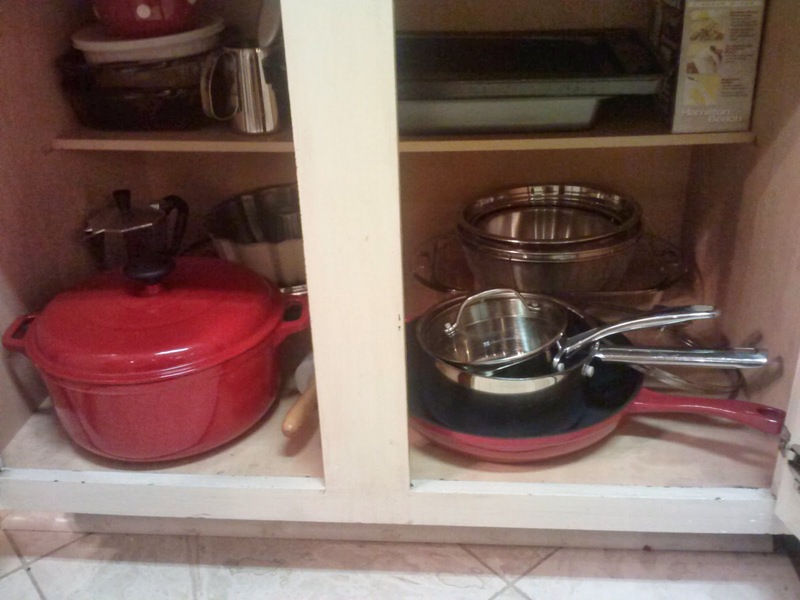 It also helped with being able to access my most used cookware. 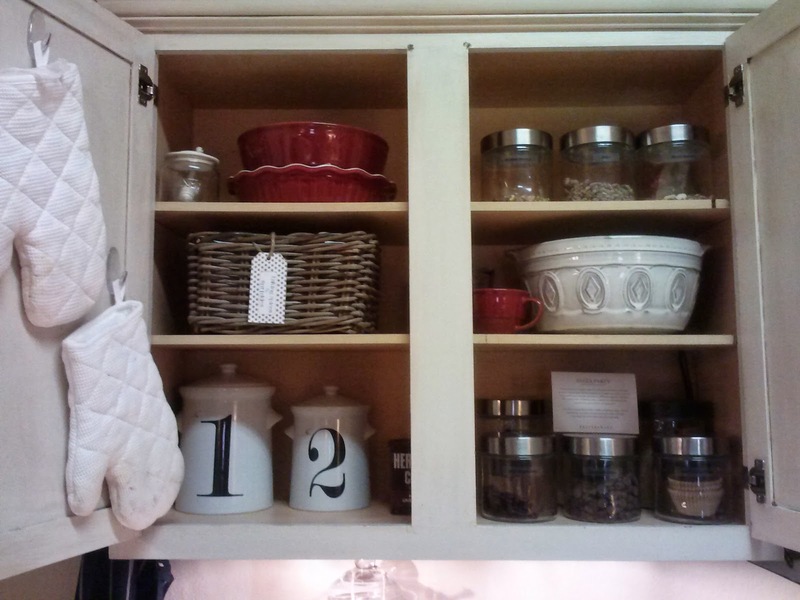 My kitchen doesn't have a ton of storage, so I have found over time, that purging makes it easier keep like items together. That was another tip Annette gave. 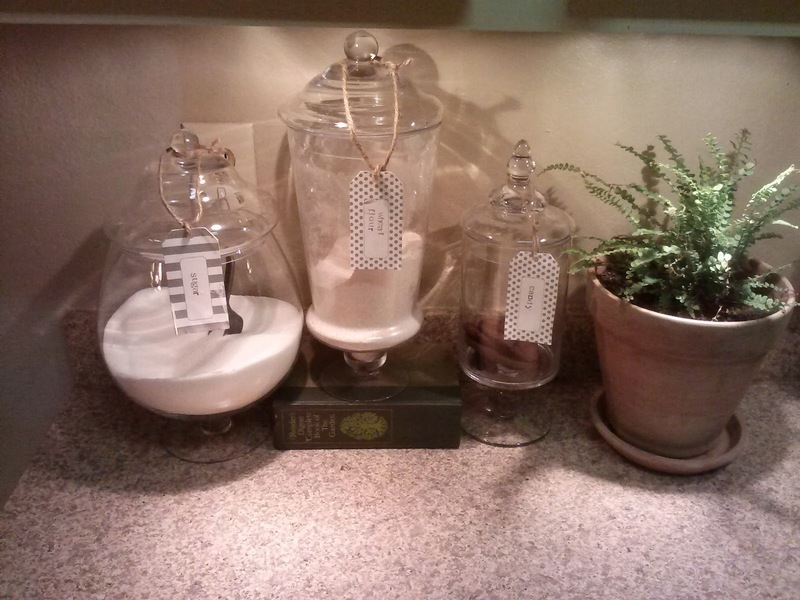 Routinely go thru the items that you have and purge what you don't need. I wasn't initially planning to do any re-arranging, so I didn't snap any before pics. But here's some shots of the results of my work. To the left is the new location for my baking cabinet. Previously it was in the smaller cabinet to the right, but with fall approaching, I thought I would expand to the larger cabinet since I tend to bake more when it's colder. On the counter, I keep my flour and sugar and some baked treats. 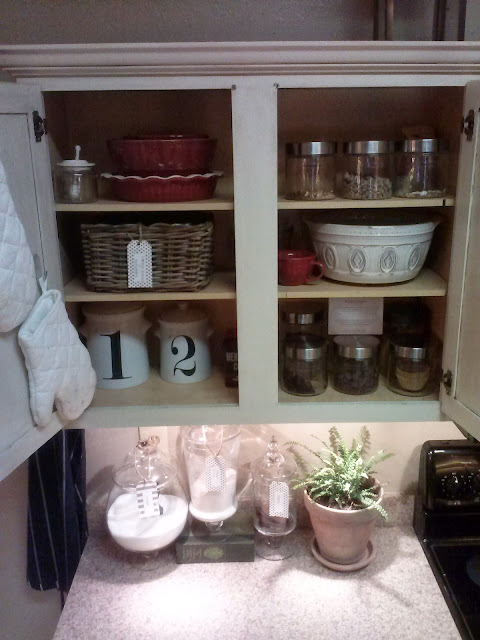 Above are all the baking add-ins, additional sugars, spices, and mixing bowls! 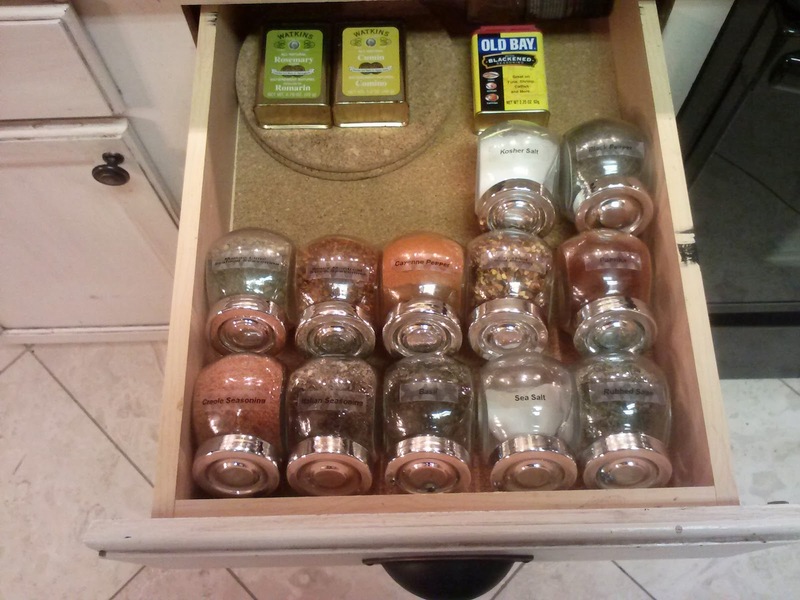 Below in the drawers are tools and spices. And below, cookware and bakeware. It was time to move that heavy dutch to the front for some yummy soups! 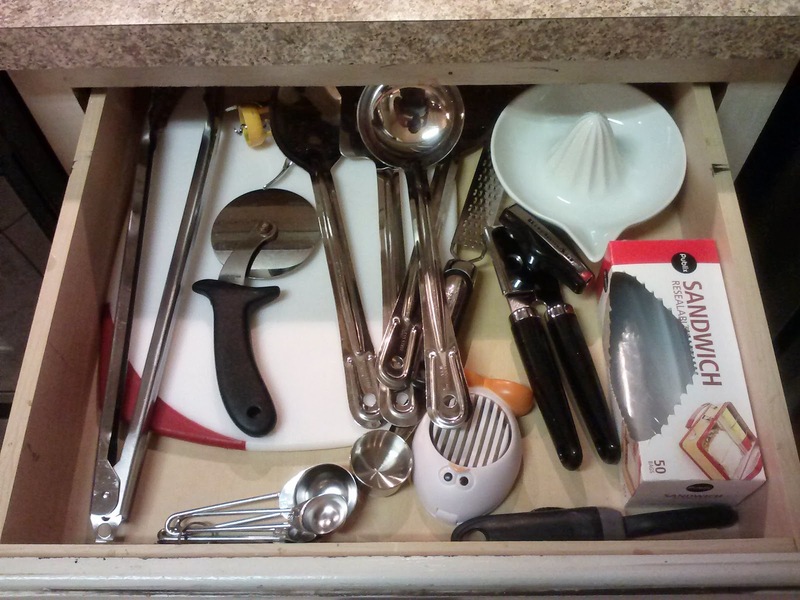 To the right, I transferred over my everyday cooking supplies. These are the things I use daily for cooking breakfast and dinner. 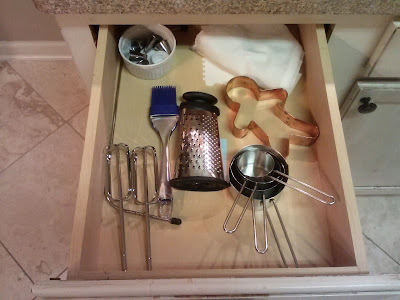 And in the drawer, less used cooking utensils. 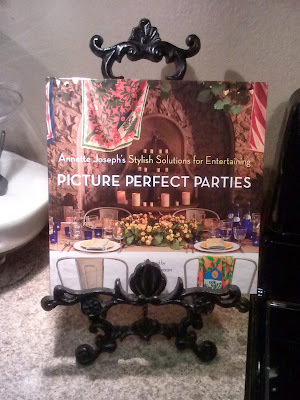 Linking up to Wow us Wednesdays at Savvy Southern Style. I know right! Although I missed being able to have one outside, I did finally did host a small one inside but forgot to take any pictures! But I definitely want to do it again. We will have to get together! I could definitely use your help on a cocktail.